Cult film celebrity John Waters is most famously known for his controversial films such as Mondo Trasho, 1969 and Pink Flamingos, 1972. 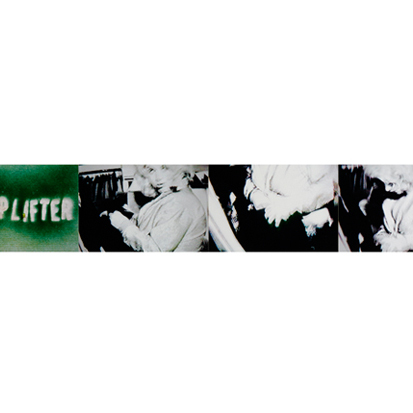 Like his films dealing with taboo subjects and fetishism, Waters’ art reflects the grotesque, sometimes filthy, repressed sides of the human psyche. His own movie, The Diane Linkletter Story, 1969 and Sam Newfield’s I Accuse My Parents, 1944 are the apparent sources for his works Bad Trip, 2006 and I Accuse, 2006. However, beyond a mere portrayal of juvenile delinquency, Waters’ works reflect contemporary politics and social illness, shattering the complacency of the establishment. 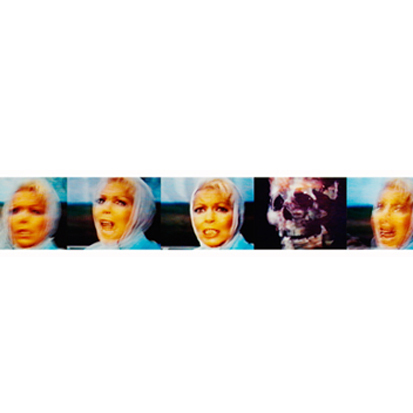 Photographic images in sequence, alluding to the film editing process, lead viewers to reconstruct their own narratives. Waters´ work has been exhibited around the world, including the Warhol Museum, Pittsburgh, Newport Beach, the New Museum, New York. In 2006, he had a retrospective at The Orange County Museum of Art, California.